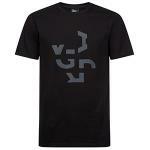 Girav Long-fit casual T-shirts for long-waisted men have a luxurious feel, perfect fit, and stylish subtle details. Girav casual tall T-shirts are made of the finest American cotton, beautifully spun into a compact fabric that’s made to last. And because we prewash and preshrink the fabric, you get a tall T-shirt that not only fits perfectly and holds its form, but feels soft and comfortable too. To add to the luxurious feel of our tall T-shirts, we’ve added features like tonal stitching, a high-quality collar and a subtly placed label. 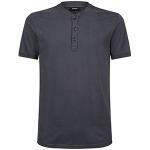 These are quality T-shirts that are perfect for casual wear, but also feel great underneath a shirt or jacket. The casual tall T-shirts by Girav have a slightly loose fit. Do you prefer a close-fitting T-shirt? Just go one size smaller. That’s what is great about Girav tall T-shirts: they are always long enough!